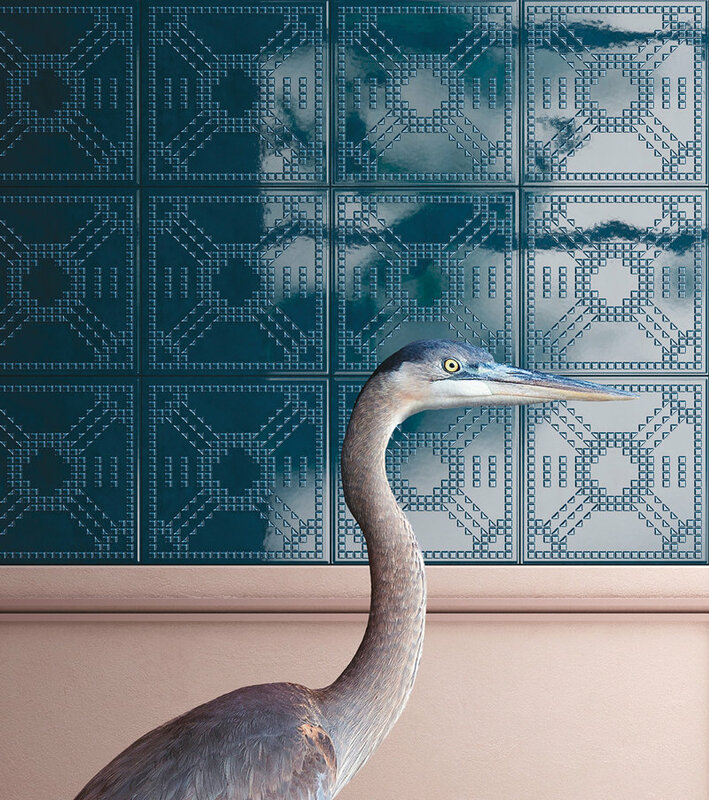 Dekorami is the new collection of glazed stoneware tiles designed by the Marcante-Testa firm for Ceramica Vogue. The design of the three-dimensional structures, despite their contemporary language, uses simple geometrical shapes that bring to mind decorative elements from the past, as suggested by their three names - Kolonne, Koriandoli and Kodici. The collection is made up of 3 designs in the 26x26 cm format, available in 4 colours with a glossy surface and 1 colour with a satin-finish surface. The range is completed by the matching smooth base.